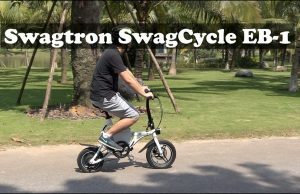 I’ve tested some folding electric bikes from SWAGTRON in the past year. All of them have really impressive quality but some limitations prevent them to become the best choices on the market. 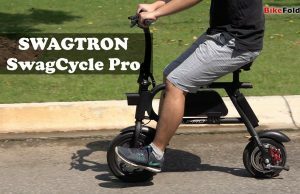 Is the SWAGTRON SwagCycle EB5 Pro better than those previous products? We’re going to find out in the review. 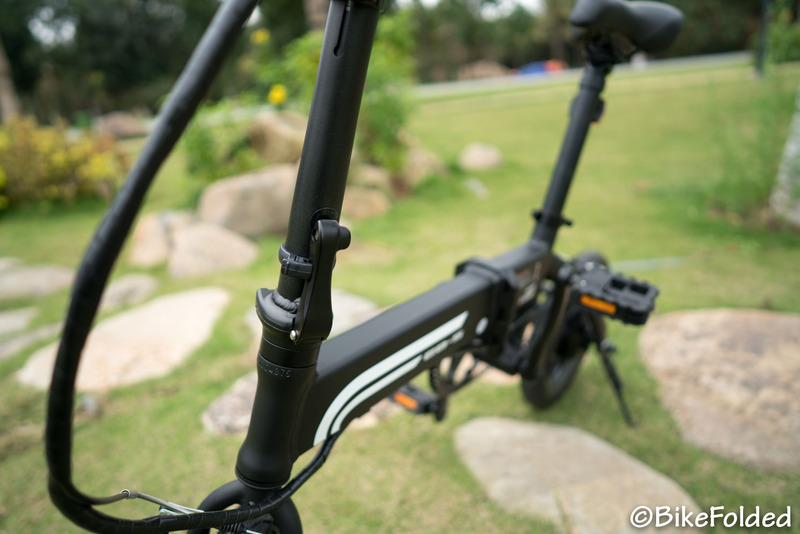 The EB5 is among the most compact folding e-bikes I’ve ever used. 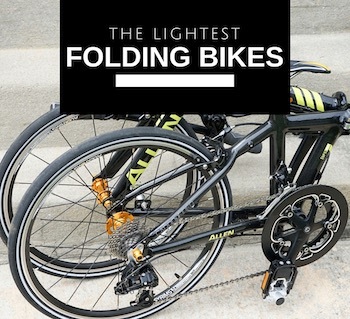 It is pretty small after folding and you can fit 2 or even 3 of those bikes into a car trunk. 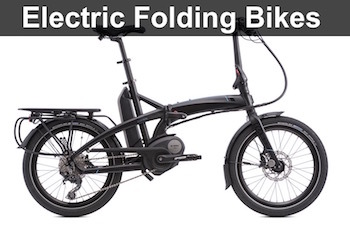 The folding and unfolding processes are quite straightforward, just like any other folding bikes. The bike is fairly lightweight at 37 lbs, it weighs almost the same as the expensive Brompton Electric. 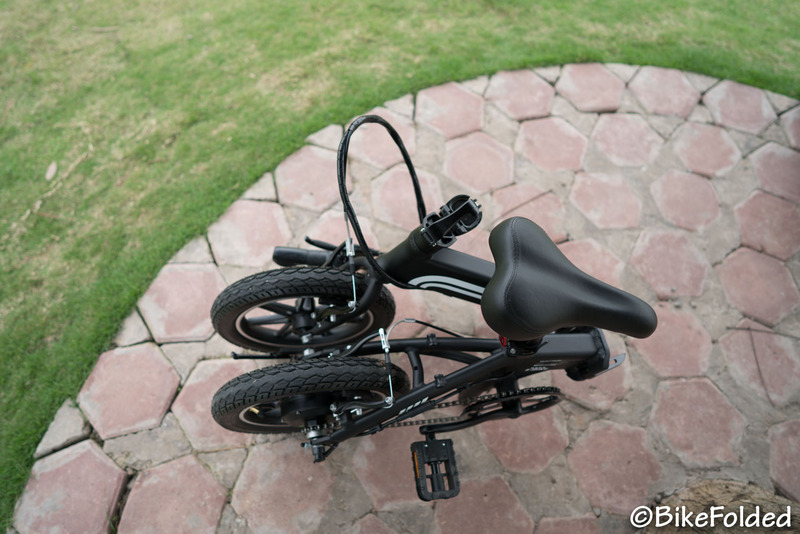 However, you can’t roll the bike while folded, so it might be a little inconvenient if you often have to carry the bike. 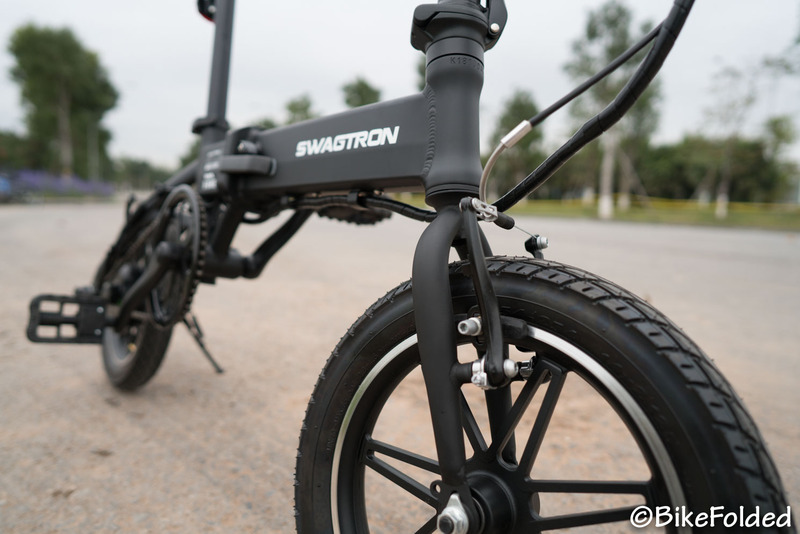 I really love the design of this Swagtron EB5 as it looks just like a normal bike. 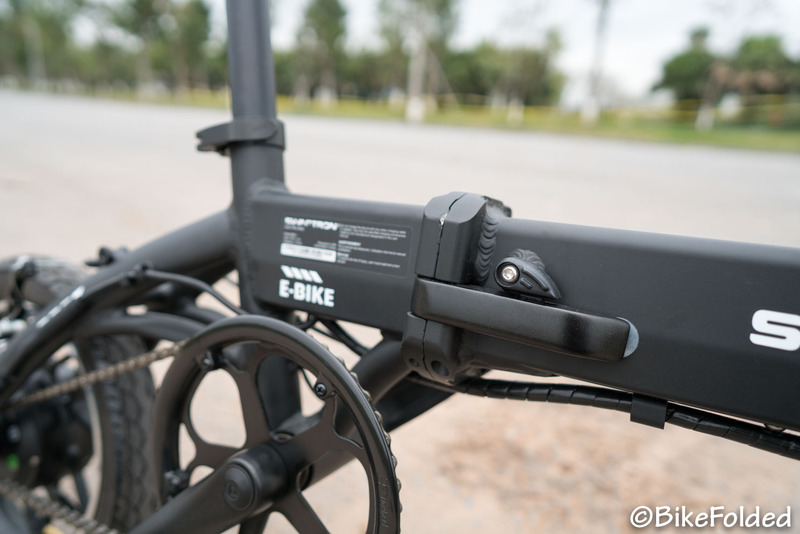 People might not be aware that you are riding an electric bike because the battery is hidden inside the main frame. If you compare the EB5 with its predecessor, the EB1, you can easily see a huge difference. 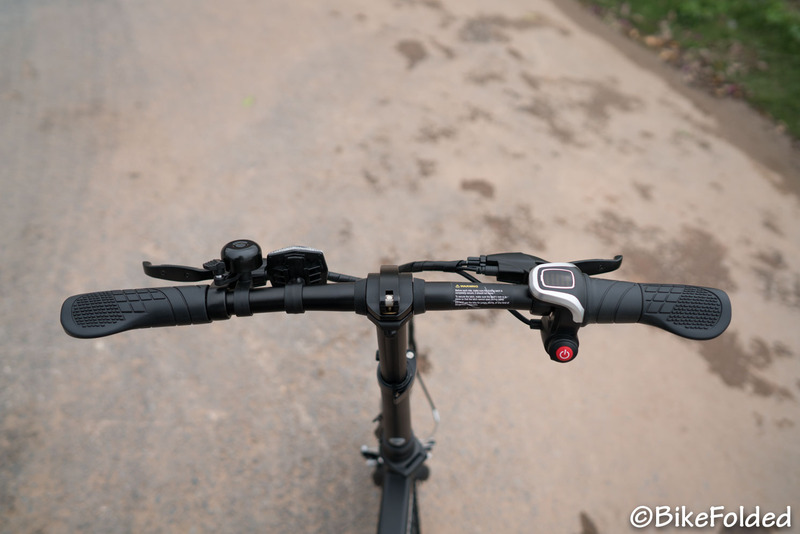 Besides, the bike is fully adjustable; You can adjust the saddle height and handlebar height, so most teens and adults will be able to find the perfect fit. I’m around 5’7″ (170 cm) tall and riding the bike is quite comfortable. The soft saddle and fat tires help me deal with potholes without any significant pain on my bottom. You can ride the bike either in pedal assist or throttle mode. 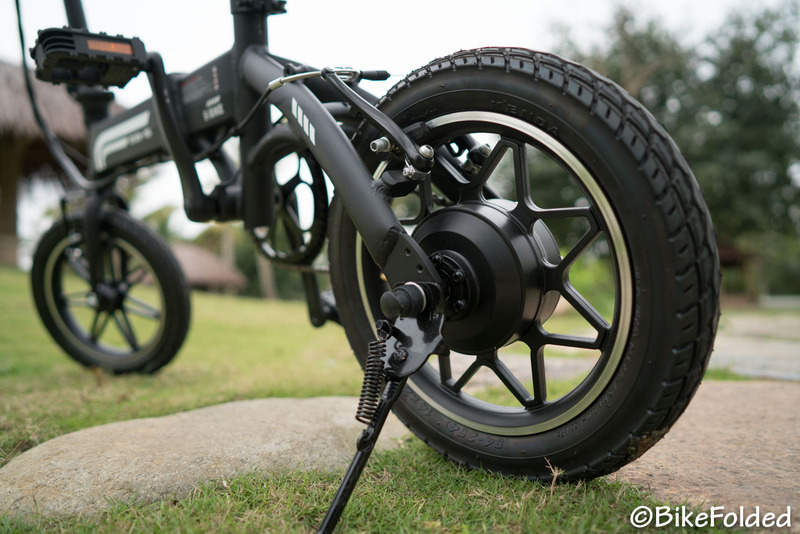 In the throttle mode, you don’t need to pedal at all as the bike is fully powered by the motor on the rear wheel. You just need to twist the throttle on the right grip and the bike will start running. The maximum speed could reach 15.5mph in this mode. If you want to ride faster, you can pedal and the motor will kick in instantly. My maximum speed could reach 20mph. The EB5 has 1 speed only and the gearing ratio is so low that you won’t have any problem climbing hills. Especially when you pedal in the power-assisted mode, riding up hills is a piece of cake and of course, you will have no sweat at all. Those are the reasons why I highly recommend this bike for city commuters. 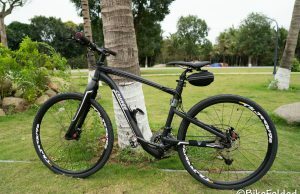 However, this comes with a downside; It requires a lot of efforts even to ride on flat roads when the battery runs out. Therefore, you’d better check and recharge the battery before each long ride. I’m also very impressed with battery life of the bicycle. 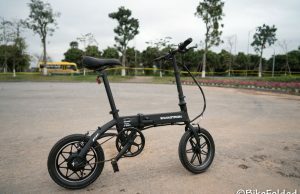 According to the manufacturer, we can ride up to 15.5 miles before having to recharge the battery. However, I use the bike in power-assisted mode and the battery life is actually much longer in real-life usage. I often recharge the battery after 7-10 days. 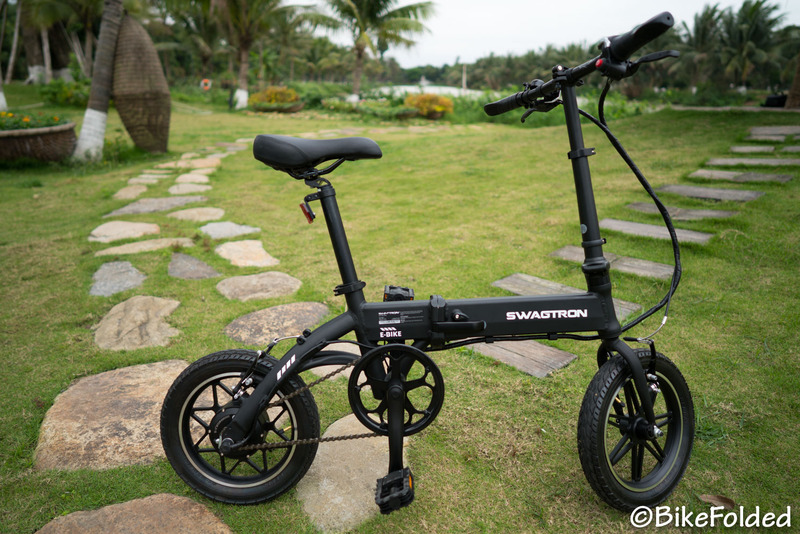 The SWAGTRON EB5 Pro seems to be a perfect bike at a very affordable price. Unfortunately, it comes with a limitation that very few reviewers mentioned. 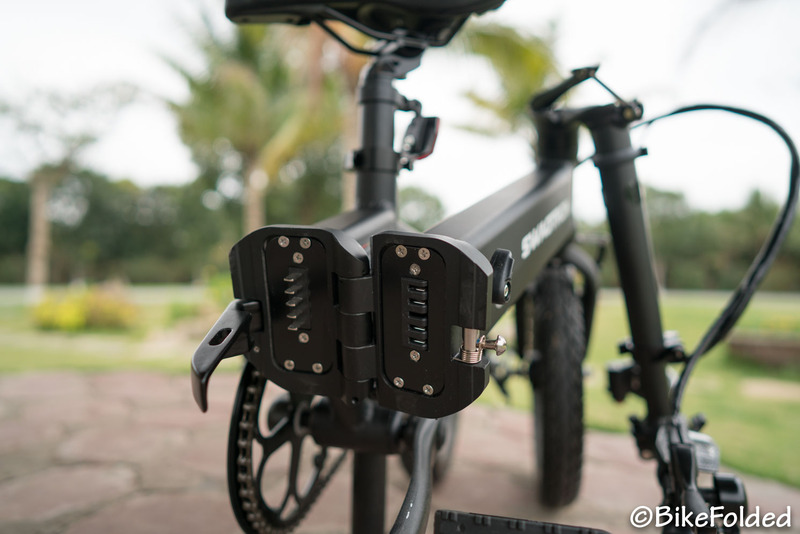 It has only one level of assist, so the motor will kick in even when you pedal really slowly. I think the bike could be too fast for many riders and we have no way to slow it down. 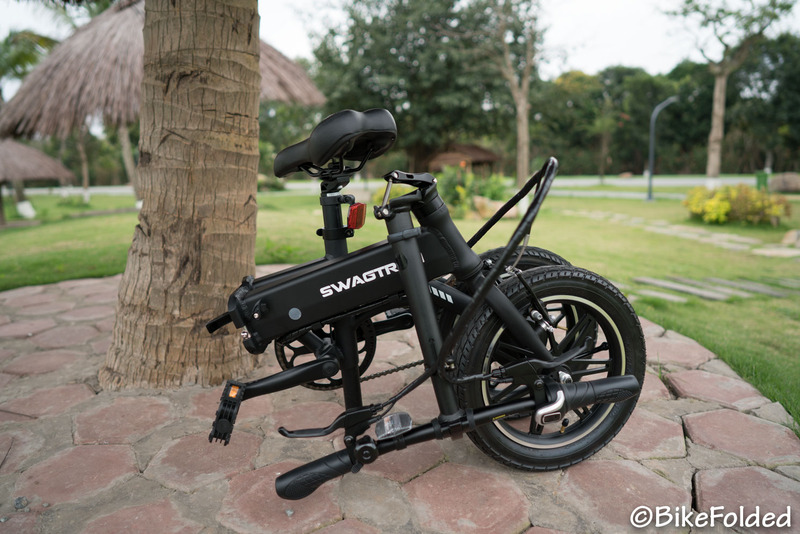 Many other electric bikes have 3 or 5 different levels of power assist, some even have an auto mode to calculate the amount of assistance. 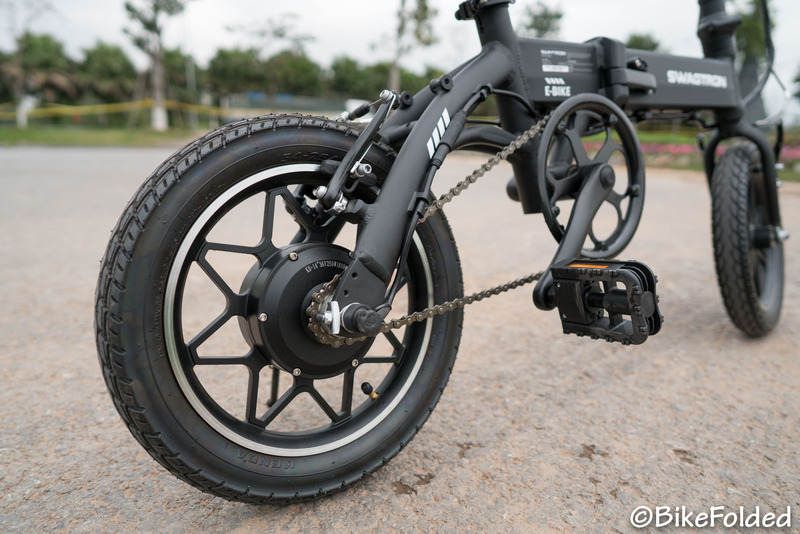 Obviously, the EB5 is a budget e-bike and they have to cut the cost by removing the speed or cadence sensors. 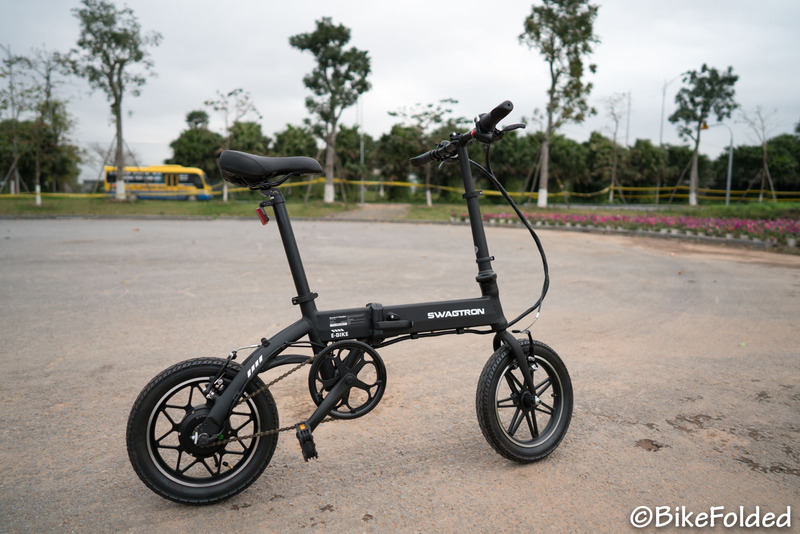 Despite some limitations, we at BikeFolded still recommend the Swagtron EB5 Pro because it delivers a lot for such a low price. 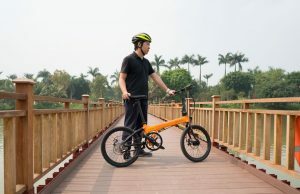 If you want to live greener and protect the environment, the e-bike will be a perfect start and it won’t break your wallet. 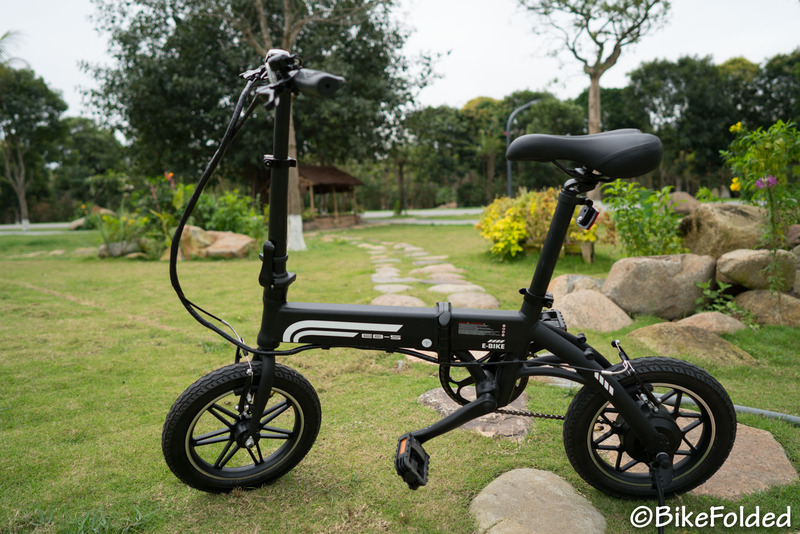 One of the best budget folding e-bikes.